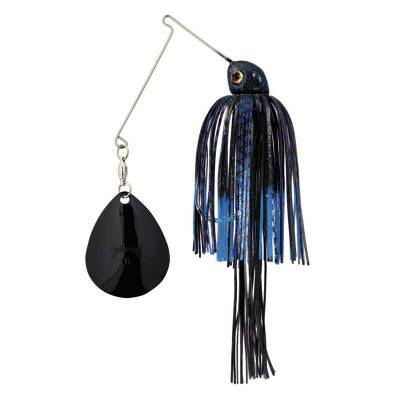 Strike King Tour Grade 1/2oz Night Spinnerbait - Black / Blue. Large Colorado blade with a short arm Vibra-Max stainless steel wire delivers maximum thump and vibration to attract fish in low light or off-color water conditions. Features a super sharp Gamakatsu hook, Spin-Eze ball bearing swivel and s Perfect Skirt with Magic Tails for maximum performance. 1/2oz.